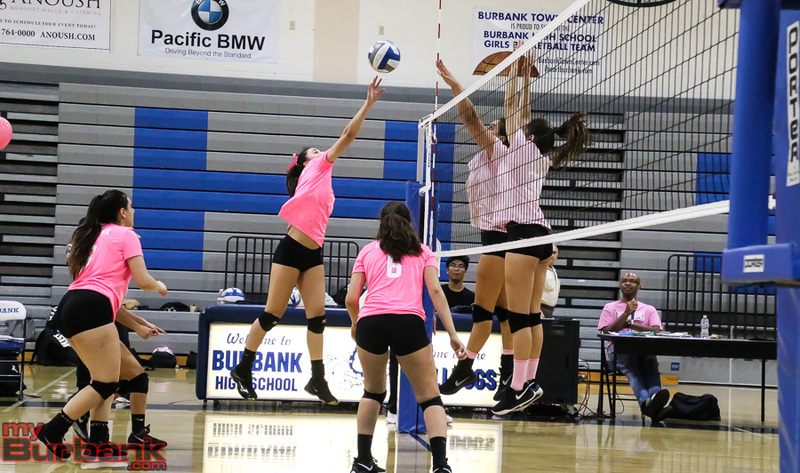 Two fruitful sets were followed by two that weren’t which made a fifth game necessary on Tuesday night when Burbank High hosted Crescenta Valley in a Pacific League girls’ volleyball match. 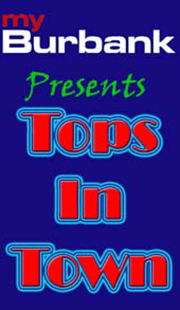 The clincher was truly gratifying as the Bulldogs prevailed 25-23, 25-22, 17-25, 20-25, 15-11. 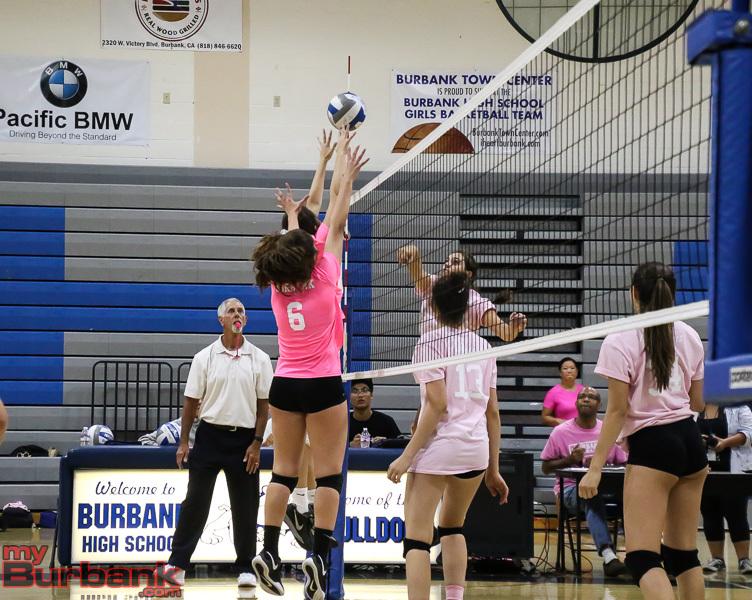 Paced by Katie Treadway’s 30 kills, the Bulldogs played arguably their match of the season according to Karl Rojo. The fifth set was claimed on a kill from Treadway, who may have played her best match ever. The Falcons pulled ahead 5-2 in the fifth game before the Bulldogs evened it at 6-6 and led 7-6 on a hitting error by senior opposite hitter Teny Noordermeer. 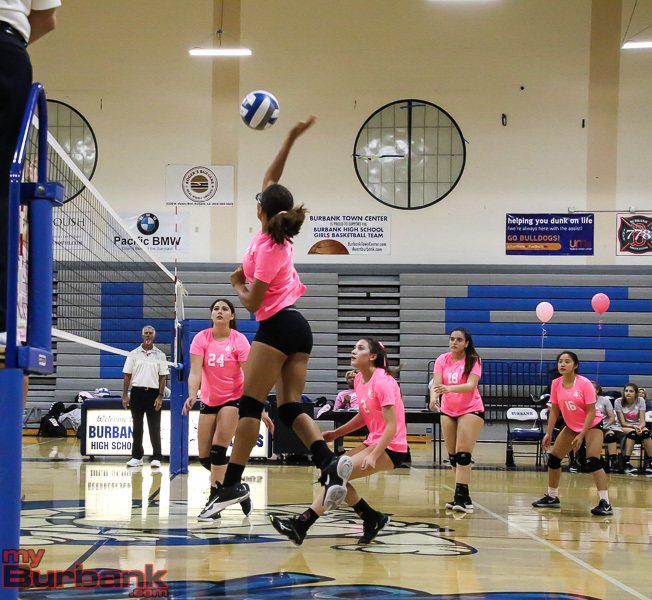 Burbank leveled it at 8-8 on a kill from sophomore middle blocker Bianca Hudson (six kills) and it was even at 9-9 on Treadway’s spike. 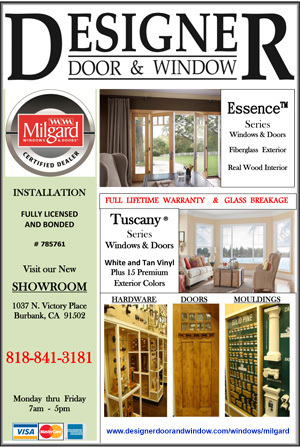 The Falcons came within 11-10 on a kill from senior outside hitter Kaitlyn Karsten, but the Bulldogs then outscored Crescenta Valley 4-1 with Treadway getting back-to-back winners that made it 12-11 and 13-11. When Noordermeer’s smash hit the net it became 14-11 and Treadway’s spike gave the Bulldogs (12-14 and 7-4 in league) the set and match. 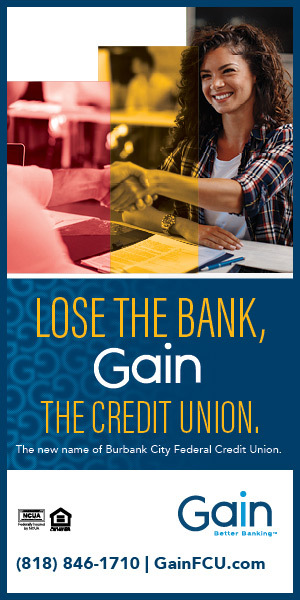 Burbank nabbed the first set, but it wasn’t easy. 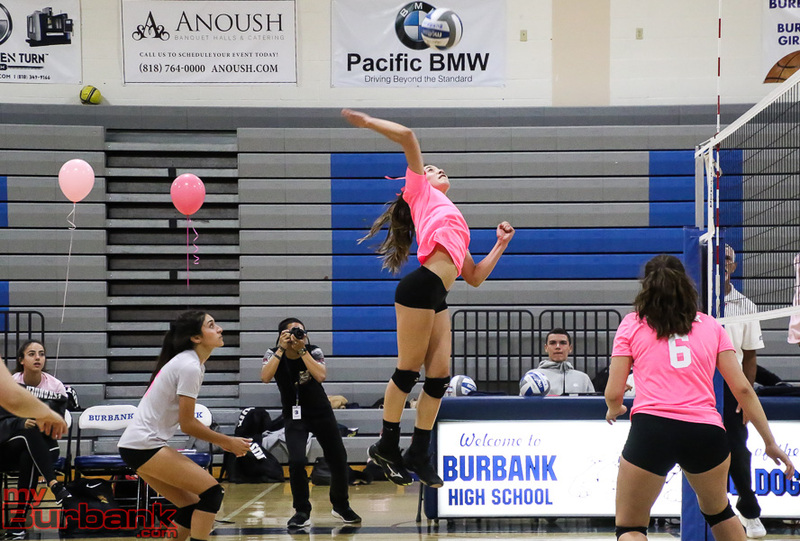 Tied at 7-7, 8-8, 9-9, 13-13, 15-15 and 16-16, the Falcons (16-10 and 7-4 in league) eased ahead 20-17 when senior outside hitter Amaya Broyls’ shot drilled the net. 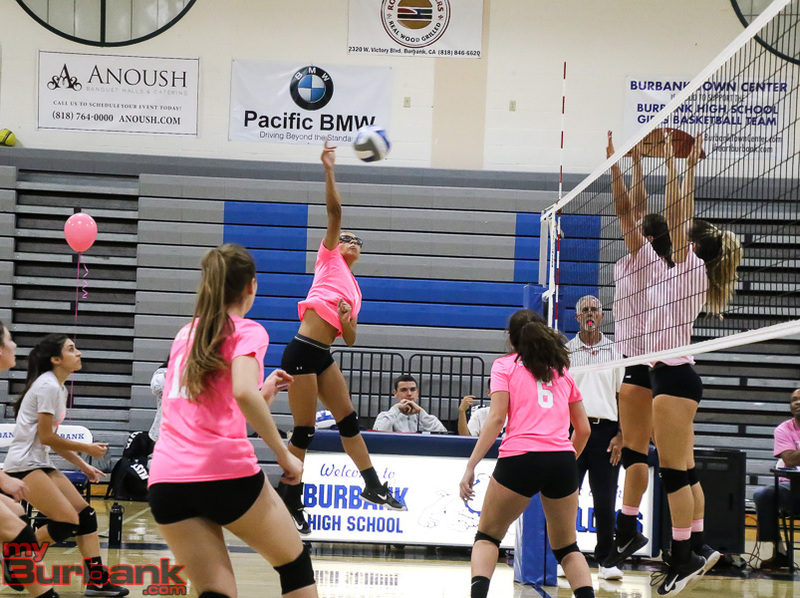 Burbank roared back and came within 21-19 on a kill from Hudson and evened it at 23-23 on consecutive service aces from junior setter Ashley Eskander. When Eskander (53 assists, eight aces, 16 digs and three kills) added a third straight ace the Bulldogs raced ahead 24-23 and then captured the game on Treadway’s kill. The second set was another tight one, as it saw the Bulldogs lead 9-3 on Eskander’s dagger and three straight service aces. The Falcons, who came in with a five-match winning streak, evened it at 14-14 on an ace from freshman setter Sydney Postelwaite. Crescenta Valley forged ahead 18-16 on a hitting error by senior opposite hitter Carmen Camacho-Platas (six kills). 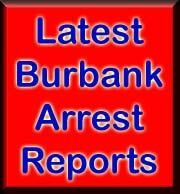 Burbank outscored Crescenta Valley 5-1 with Broyls getting a kill. 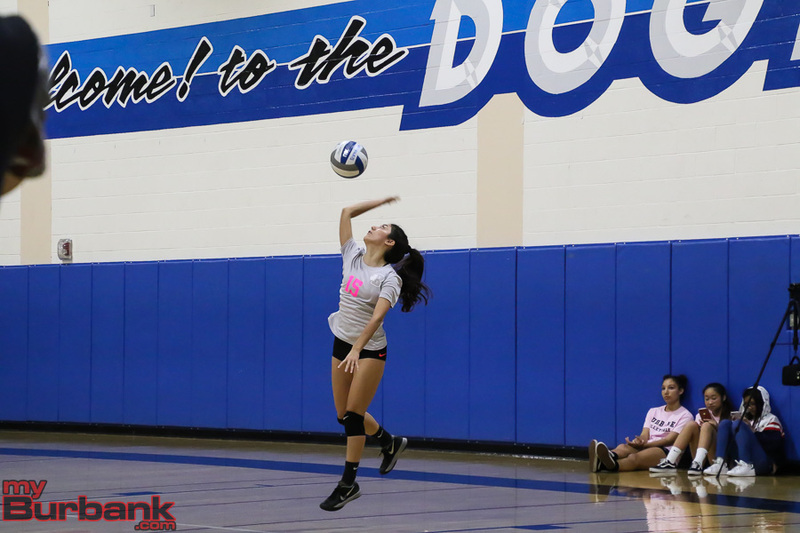 From there, the Bulldogs moved ahead 23-20 on an ace from senior defensive specialist Izzy Sanchez and Treadway’s kill captured the set. 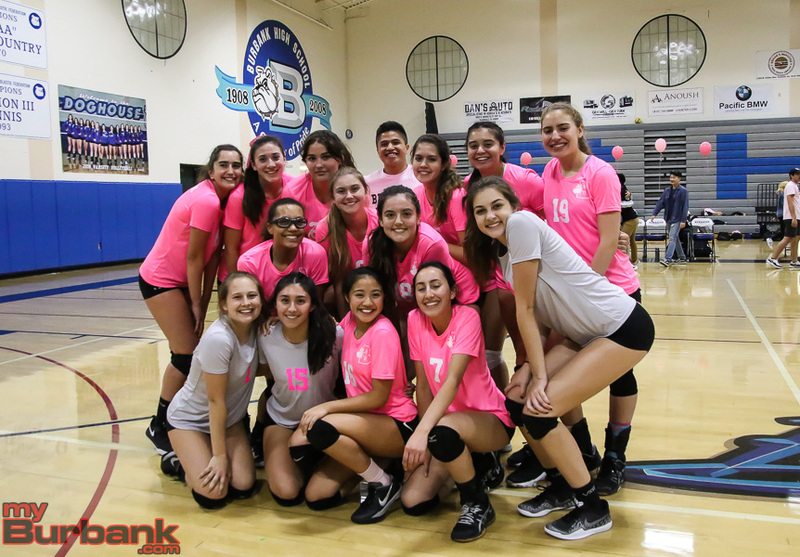 Crescenta Valley pretty much had its way in the third game after bolting to a 12-5 lead on a kill from Noordermeer. A tapper from Noordermeer made it 15-8 and the cushion was 19-10 on a kill from senior opposite hitter Grace Holland. Karsten and sophomore middle blocker Emma Glaza combined on a block for the Falcons that made it 22-14 and Holland’s kill saw Crescenta Valley claim the set. 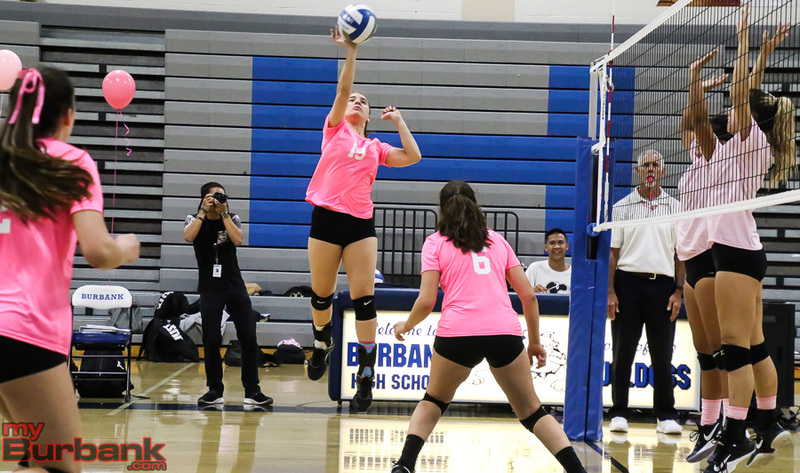 Burbank led the fourth game 5-2 on a kill from Treadway and 8-4 on a spike from Treadway. 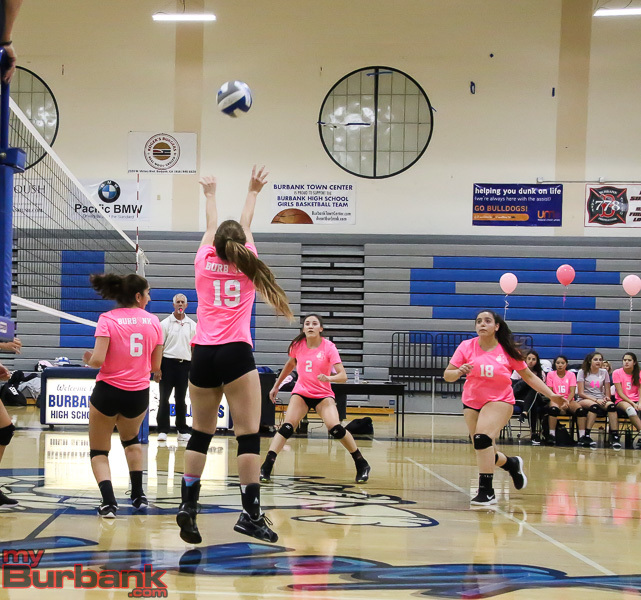 The Falcons rallied and moved in front 13-10 on a kill from Karsten, but an ace from Burbank senior libero Kayla Pino (23 digs and three aces) tied it at 14-14. Crescenta Valley darted ahead 21-19 on junior outside hitter Lizzy Kerman’s ace, pulled in front 24-20 on an service winner from Postelwaite and grabbed the set on Holland’s kill. 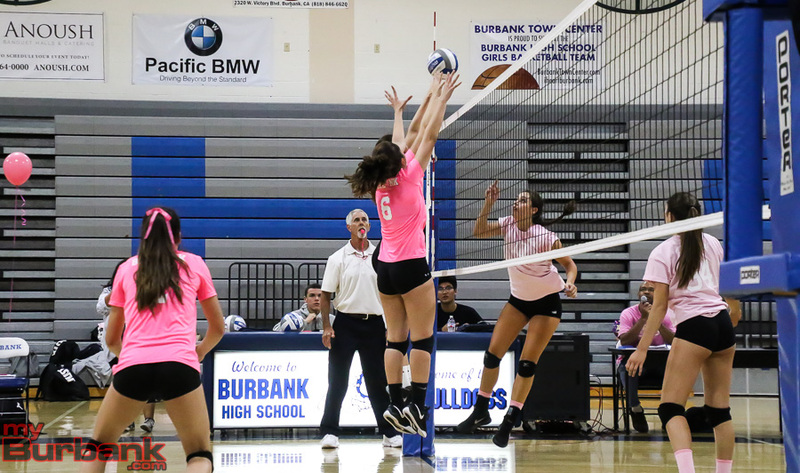 Senior middle blocker/opposite hitter Olivia Price added two kills and junior middle blocker/opposite hitter Leah Tawil had three kills with two digs for the Bulldogs. 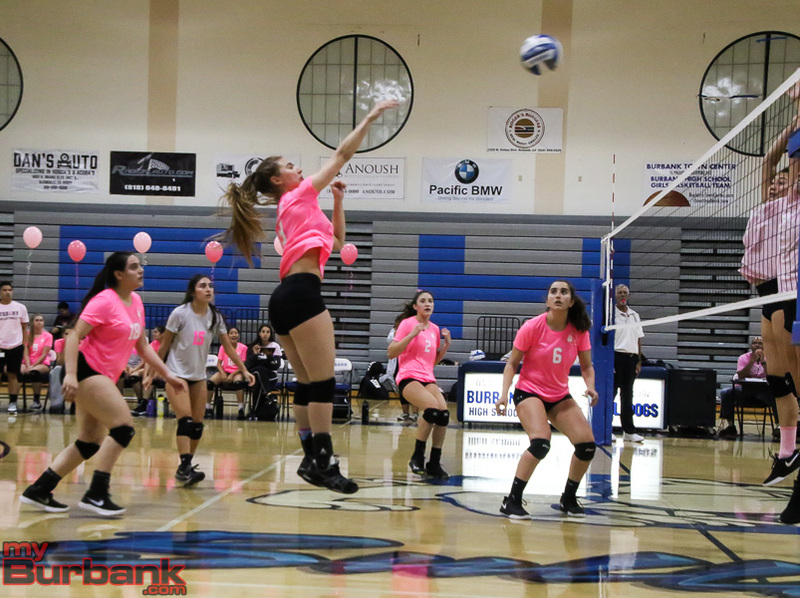 This entry was posted in Girls Volleyball, Sports and tagged Amaya Broyls, Ashley Eskander, Bianca Hudson, Burbank High, Carmen Camacho-Platas, Girls Volleyball, Izzy Sanchez, Katie Treadway, Leah Tawil, Olivia Price, Pacific League on October 3, 2018 by Rick Assad.